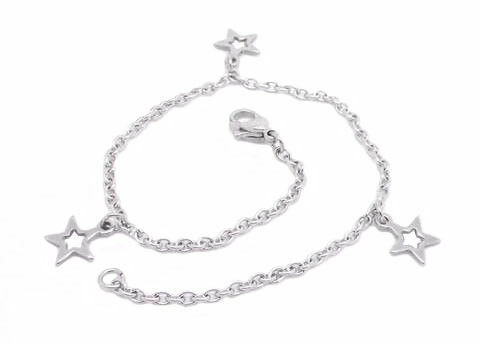 This anklet is with decorations of three cut-out stars. Material:304 or 316 stainless steel with or without plating. Plating Color: Any color of plating as your request, such as rhodium, gold, silver, rose gold, etc. This anklet is warmly welcomed by girls. The size is 250mm, or you can decide the length. We welcome OEM or ODM designs.